A brand pivotal in the watchmaking industry, Citizen watches are famed for creating unique components to form a watch’s final assembly to appeal to those searching for a high performing timepiece. Discover the Citizen watches technological breakthrough with it’s unique Eco-Drive movement which utilises electrical power converted from virtually any light source. This development has ensured that this extraordinary watch innovation has forever changed the way watches can be powered. Eco-Drive watches from Citizen watches has eliminated the need to ever replace a battery! We offer the Super Titanium men's watches and Diamond Collection ladies watches for even more choice. 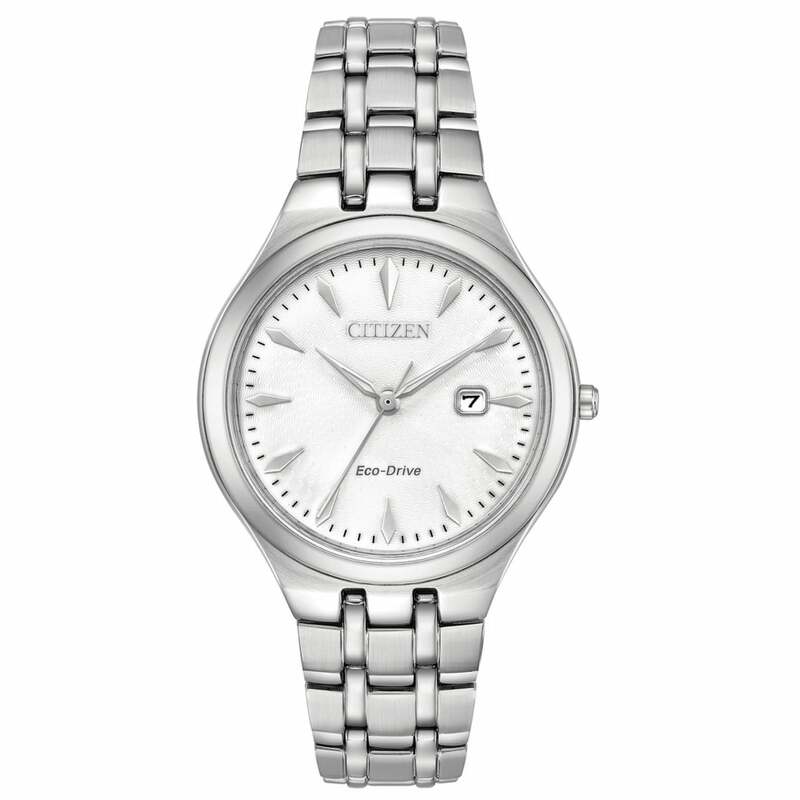 Our range of Citizen watches include some wonderful ladies Citizen watches that provide attractive options such as two tone finishes, stainless steel bracelets and diamond set watch dials. The Citizen watches in this range come complete with a gift box and a full 5 year manufacturers guarantee. Citizen watches are one of the best known quality watch brands and we are delighted to have them as part of our complete range of designer watches. Experience the joy of owning a Citizen watch or browse our collection of men's watches for more stylish watches for men from all of your favourite designer brands.